There is a lot of pressure in today’s society to succeed, but failing is a part of learning how to be a successful person. In his teaching career, Luke Reynolds saw the stress and anxiety his students suffered over grades, fitting in, and getting things right the first time. Fantastic Failures helps students learn that their mistakes and failures do not define their whole lives, but help them grow into their potential. 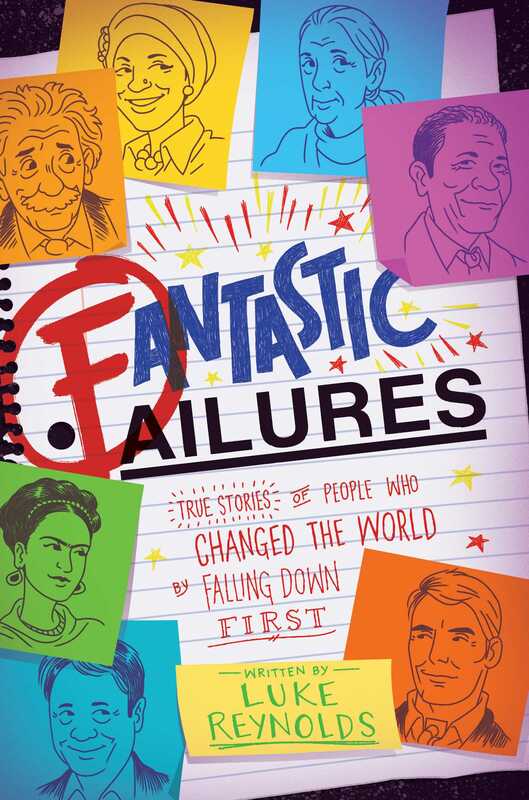 Kids will love learning about some of the well-known people who failed before succeeding and will come to understand that failure is a large component of success. With stories from people like J. K. Rowling, Albert Einstein, Rosa Parks, Sonia Sotomayor, Vincent Van Gogh, Julia Child, Steven Spielberg, and Betsy Johnson, each profile proves that the greatest mistakes and flops can turn into something amazing. Intermixed throughout the fun profiles, Reynolds spotlights great inventors and scientists who discovered and created some of the most important medicines, devices, and concepts of all time, including lifesaving vaccines and medicines that were stumbled upon by mistake. Harry Potter and the Sorcerer’s Stone was written from start to finish in a two-month burst. As she wrote, author J. K. Rowling dined on rare and expensive tea and cupcakes made from quadruple-milled flour and sugar flown in from the mountains of Tibet. A single cupcake cost approximately $150. While she wrote, Rowling had two people massage her feet. Each night, after writing, Rowling would relax on a bed the size of Texas. And when the book was finally finished, the first publisher it went to instantly knew it would sell hundreds of millions of copies and bought it before even opening the submission envelope. . . . Uh . . . no! Everything in that first paragraph is completely false. (Did the thing about cupcakes give it away?) Instead of easily writing the first novel in the Harry Potter series, Rowling struggled with her ideas for years. She was told by her teachers that she needed to dream less and focus on reality more. She went through a variety of jobs after college that never seemed to work out for her, and she kept Harry tucked away in her heart for years. When Rowling’s life began to encounter a host of challenges, she realized that she had to take the leap and risk everything on writing the story that she had kept hidden for so long. She was a single mother to a baby girl—named Jessica—and she was unable to find a job to pay the bills and take care of her daughter at the same time. Thus, she had to accept money from the government—welfare—to simply survive. Barely making ends meet, exhausted, overwhelmed, and having no idea whether her Harry would ever be published or was any good, Rowling opted to thunder away, writing her story.1 What did she have to lose? Author Saul Bellow was once referred to as a “dud” of a writer by one of his college English professors. But he went on to win the Pulitzer Prize for fiction, the Nobel Prize in literature, and many other prestigious honors. Rowling worked, and worked, and worked. When she finally did write the full draft of the first novel in the series, Rowling did so by day at a small café in Edinburgh, Scotland, and in her small apartment by night. “We do not need magic to change the world,” she believes. “We carry all the power we need inside ourselves already: we have the power to imagine better.”2 Though her novels are about fantastical magic, Rowling believes that human power is real magic and that it dwells inside a person—available and waiting to be used in the pursuit of something beautiful and good. Then he sent it to a fourth publisher. And a fifth and a sixth and a seventh. Little sent Harry Potter to a ninth publisher, who also said the manuscript would not sell enough copies and was therefore not worth publishing. The tenth publisher said the same. And the eleventh and . . . the twelfth! Michael Jordan was cut from his varsity basketball team early in his high school career. He later became one of the most successful and popular NBA players of all time. Twelve publishers all had the chance to read Harry Potter and the Sorcerer’s Stone and all twelve thought it wasn’t good enough, wasn’t interesting enough, and would not sell enough copies.4 How did Rowling deal with all the failure she had experienced—both leading up to the writing of her first book and even afterward? She has said, “Failure meant a stripping away of the inessential. I stopped pretending . . . that I was anything other than what I was and began to direct all my energy into finishing the only work that mattered to me.”5 Instead of allowing failure to define her, Rowling said that failure actually focused her. It helped her understand what she truly cared about. But still. Twelve rejections! Imagine how that must have felt! Let’s say you really want to be a scientist when you grow up. And you know that being a scientist involves conducting lots of science experiments and then figuring out what your experiments say about how the world works. Cool! But then: You design an experiment, and it fails. It doesn’t tell you anything about anything except that you did something wrong. So you try again. Your second attempt also fails. You must have made a mistake somewhere, right? Maybe you weren’t meant to be a scientist after all. But you decide to try the experiment one more time. And you’re wrong again! Imagine trying that same experiment twelve times in total. Would you start to think that maybe you’re just not the person to do it? Would you start to think that it is so not worth it to keep doing the same experiment and to keep getting it wrong? To keep messing up big-time? Rowling could have given up at this point. But she, and Little, kept going. NOT DIMINISHED . . . FINISHED! Author of the bestselling classic novel To Kill a Mockingbird, Harper Lee, once threw her manuscript out of her apartment window in New York on a winter night. It would never be good enough, she told her editor, Tay Hohoff. However, Hohoff talked her into getting the manuscript back, making it better, and finishing it. She did, and the book has sold over 40 million copies! What if Rowling had decided that if she really was a good writer, she would have gotten an offer for publication from the first publisher to whom her agent sent the book? Or—at the very least—the second? What if Rowling had decided, Well, I guess this writing business is not for me. I’ll just put Harry in a drawer or lock him back up inside my heart. We all would have missed out on the amazing boy wizard who has made us enjoy reading and imagining and believing and taking in a whole new world. We all would have lost something great. Sometimes, not getting the A+ can be more powerful than getting the perfect grade. Sometimes, the things you really want to do with your life won’t be perfect the first time around (or the second, or even the twelfth). Sometimes, you’ll fail a lot along the way. People may tell you that what you’re pursuing is impossible or stupid and pointless. You may even think that success really is impossible for you: That math teacher is ridiculously hard to please! That English teacher never gives anyone an A on their essay, no matter how good it is! It seems like you’ll never find a friend you truly, deeply connect with. Writer Stephen King was living in a mobile home and teaching by day but nursing a dream to become a great writer by night. After completing his novel Carrie, he thought it belonged in the trash, where he promptly threw it. However, his wife thought differently, plucked it out, and now, Stephen King’s novels sell hundreds of millions of copies. But all of these things are possible. Like Rowling, you may have to fail twelve times (or even more) before the possibility reveals itself, but failure is part of the path toward success. Before we say good-bye to J. K. Rowling, there’s one more fascinating thing to note: after the Harry Potter books went on to sell hundreds of millions, Rowling later wrote a mystery novel for adults. But instead of sending the novel out to publishers with her own name, she used the fake name of Robert Galbraith. And that novel was rejected! Had the publishers known it was written by Rowling, they surely would have accepted it immediately. But the experiment Rowling conducted proved something important: even after a truly great heroine or hero succeeds, failure still happens. Life still has flops in store! What really matters is sticking with the dreams in which you truly believe, fighting for them, and being willing to fail and fail and fail until they one day come to life. When you read her name, you probably immediately think of the very definition of success. There is almost nothing Oprah Winfrey has not accomplished. Massive daytime television show? Check. Bestselling books? Check. Worldwide leader? Check. Force for education and philanthropy around the world? Check. Starting the world’s biggest and most influential book club? Check. Roles in major motion pictures? Check. But Winfrey was not born the way we know her now. She endured abuse, rejection, failure, and criticism en route to becoming the woman of strength, boldness, and recognition we know her as today. Even when Winfrey began to make her mark on television as a news anchor in Baltimore, Maryland, she still endured demotions, rejections, and failed relationships. Winfrey asserts that the power of friendship was her biggest success, demonstrating how her best friend, Gayle King, helped her overcome these failures: “She has helped me through demotions, near-firings, sexual harassment, and the twisted and messed-up relationships of my twenties, when I couldn’t tell the difference between myself and a doormat.”7 Imagine the world’s wealthiest female media star feeling like a “doormat” in relationships, or almost getting fired, or getting demoted! Eventually, her network worked itself out and became a solid success. However, facing failure is never off the table. Winfrey admonished the Harvard grads—and us—not to fear failure but to embrace it, and keep moving forward. 1. Marc Shapiro, J. K. Rowling: The Wizard behind Harry Potter (New York: St. Martin’s Press, 2004), 62–82. 2. Tovia Smith, “Rowling’s Harvard Speech Doesn’t Entrance All,” NPR, June 6, 2008, https://www.npr.org/templates/story/story.php?storyId=91232541. 3. Philip W. Errington, J. K. Rowling: A Bibliography 1997–2013 (New York: Bloomsbury Academic, 2015), 3. 4. Alison Flood, “J. K. Rowling Says She Received ‘Loads’ of Rejections before Harry Potter Success,” Guardian, March 24, 2015, https://www.theguardian.com/books/2015/mar/24/jk-rowling-tells-fans-twitter-loads-rejections-before-harry-potter-success. 5. J. K. Rowling, “The Fringe Benefits of Failure and the Importance of Imagination,” commencement speech, Harvard University, Cambridge, MA, June 5, 2008, Harvard Gazette, transcript and video, https://news.harvard.edu/gazette/story/2008/06/text-of-j-k-rowling-speech/. 6. Shapiro, J. K. Rowling, 73. 7. Oprah Winfrey, What I Know for Sure (New York: Flatiron Books, 2014), 21. 8. Colleen Walsh, “Winfrey: Failure Is Just Movement,” Harvard Gazette, May 30, 2013, https://news.harvard.edu/gazette/story/2013/05/winfrey-failure-is-just-movement/. 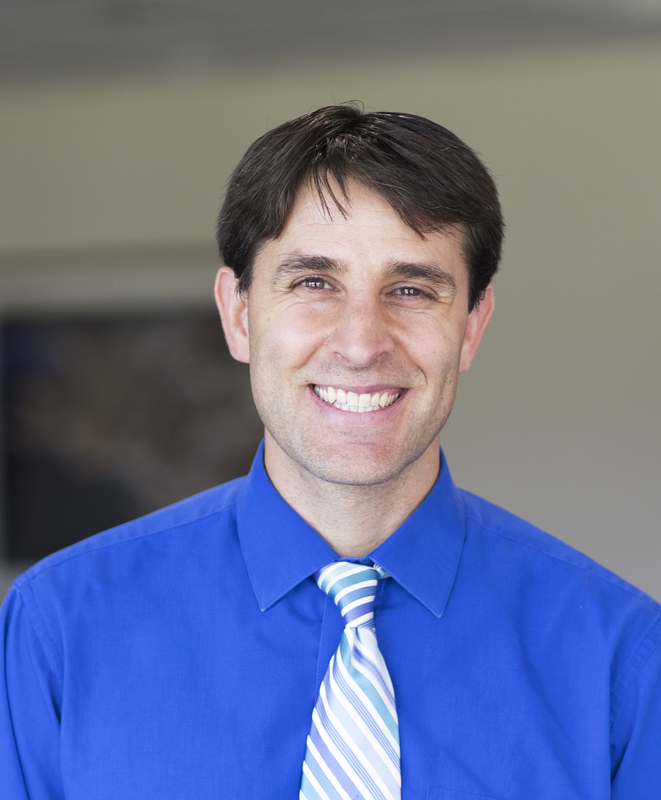 Luke Reynolds taught in public schools for many years before becoming an assistant professor of education at Endicott College. His is the author of Fantastic Failures, Surviving Middle School, The Looney Experiment, and the picture books If My Love Were a Fire Truck and Bedtime Blastoff! He and his wife, Jennifer, have three sons. This collection highlights the times when high achievers either failed outright or faced drastic setbacks in achieving their goals. Each chapter opens with the idyllic and humorous story of a particular person’s road to success. This book communicates well that failure is an important part of growth and achievement. The breadth of different people and fields of study covered is a positive. Readers will connect to the challenges of Duke Kahanamoku, a champion swimmer and actor who popularized the sport of surfing in the 1930s and 19402; Om Prakash Gurjar was forced into helping his parents pay back his debts at the age of five. He went on to advocate for children forced into labor and eventually won the International Children’s Peace Prize. These stories serve as a model and send the message that success is rare at first attempt and failure is necessary to succeed. The text is well written and engaging. VERDICT: An entertaining pick for biopgraphy collections. Failure is the new success. (Translation: Success is a long, mistake-ridden path through trial and error.) Failure is trending now and Luke Reynolds is ready to ride the wave. Writing with an eye toward including younger readers (he begins with J.K. Rowlings’ story), he tells [readers] of all ages that failure is a learning experience and not a sign of defeat. Recounting thirty-five notable examples (including Nelson Mandela, Vincent Van Gogh, Christopher Reeves, Temple Grandin, Steven Spielberg, Rosa Parks, and Seabiscuit), he adds a multitude of shorter “Flop Files” (which include Steve Jobs, Ellen DeGeneres, Julia Child, Vera Wang, and Conan O’Brien) to let your [readers] know that not getting it right the first time is a valuable prerequisite for ultimately achieving their goals. Those first mistakes are often crucial to uncovering the ultimate path to success. Exercises for recognizing the gems-in-the-darkness and maximizing re-do efforts are woven throughout this inspiring tome. Fantastic Failures by Luke Reynolds shares some interesting stories of failures that gives the reader evidence of the importance of a growth mindset. This quote sums it up nicely: “…in order to really learn who we are as people, we need to experience some failure. We need to understand what it’s like to try something and get it wrong – to take a few risks.” Accounts of Albert Einstein, JK Rowling, and even Oprah Winfrey demonstrate that failure is not fatal. Readers will love the “100 Questions about Failure and Success (and everything In-between) to Get Your Mind Sparking and Your Heart Pumping” at the end of the book. This would be a great family or class read to engage in conversations about growth mindset, persistence, and the value of failure. Definitely recommend this book! I skimmed my way through some of this book. As I did I realized that this book could be an excellent starting point for research projects. I love that the author provides readable source notes, primary documents (images, quotes), and a questionnaire at the back. Great resource for any classroom. This book, written by a seventh grade English teacher, is replete with the biographies of those who faced significant challenges in reaching their goals. Just a few of those featured are Nelson Mandela, Rosa Parks, J. K. Rowling, Oprah Winfrey, (the horse) Seabiscuit, Vincent Van Gogh, Christopher Reeve, Albert Einstein and Hillary Rodham Clinton. Each entry starts with a fantasy description of how things went before, more accurately, detailing the setbacks that were faced along the way. The author believes that it is important that young people focus, not on being perfect, but on risk taking and learning. He tells his own story of having been a poor student and then turning things around. The author offers comments to students suggesting coping mechanisms when they face challenges. This book is broad and expansive. It would be an excellent resource for students and school libraries. Some of the stories I was familiar with, but it doesn’t hurt to hear again. We need to know it is okay to fail but not give up. So many people are becoming perfectionists but forgetting the importance of learning from mistakes and failures. Great format to remind them. When were we taught that failure was a bad thing? Was it something we were taught or is it just an instinct we’re born with? It does make sense though, if you’re working on something, that the last thing you want to happen is for it to fail. But this book changes that! With 35 inspiring stories of successful people who made major mistakes on their way to the top, this book shows you that, not only is failing a necessary part of life, it’s actually a good thing!